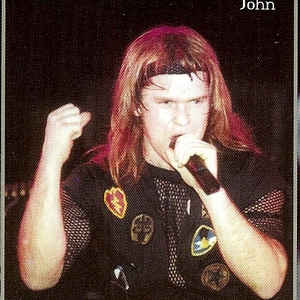 John Arch was the first vocalist for Fates Warning. He provided his unique voice to their first three albums, then retired from his music occupations. In 2002, after having neglected Jim Matheos' (Fates Warning) offer to provide his vocals to the OSI project, John Arch finally contacted Jim and Mike Portnoy (Dream Theater) joined them after the OSI sessions were closed. The collaboration between John Arch, Jim Matheos, Mike Portnoy and Joey Vera (a current member of Fates Warning) resulted in the EP named A Twist of Fate, consisting of two epic tracks. After sixteen years of absence, John Arch's voice sounds as fresh as in his debuts in Fates Warning and even better, very high-pitched and the music is in the vein of the last albums produced by Dream Theater and Fates Warning. One can notice that Jim Matheos plays not only the guitar but also the keyboard parts.